Pantomime season is upon us once again. 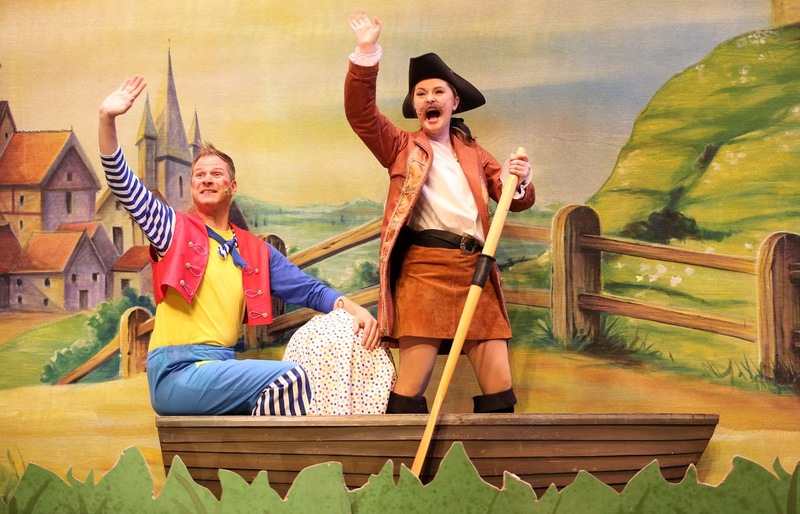 The British Institution that combines traditional stories with gags, and audience participation is actively encouraged. Getting the formula right is harder than it looks as it needs to keep both adults and children entertained. Writers Neil Armstrong and Paul Hartley have once again worked their magic in order to bring a lively family show to Durham. 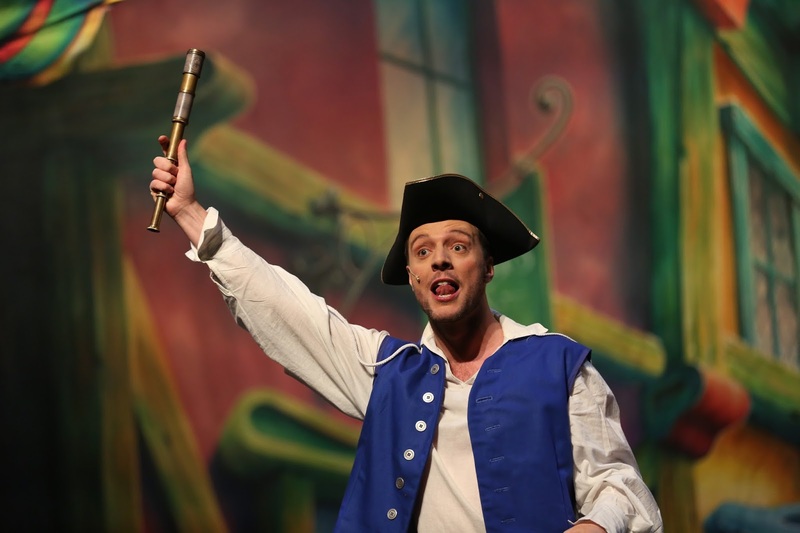 Of course Robinson Crusoe isn’t a frequent panto tale and that helps to make it a fresh experience. 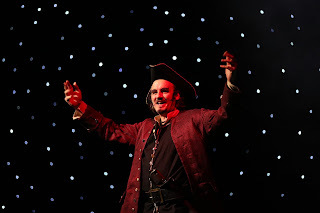 The show begins with Captain Blackheart (Neil Armstrong) making his crew walk the plank as he has no need for them. The Goddess of the Sea Aqua Marina (Jayne Mackenzie) appears and suggests the he seeks the Pearl of Wisdom. This involves getting hold of a lad called Robinson Crusoe (Jamie Brown) who will support him in finding the treasure. 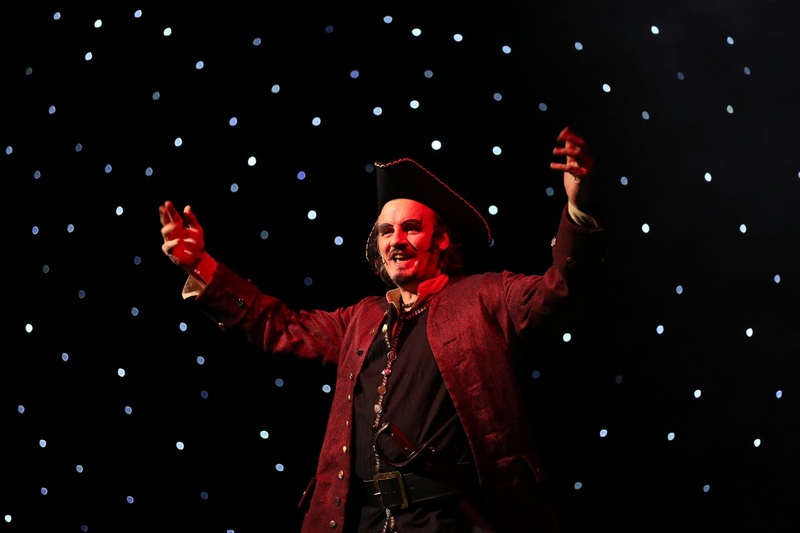 So once the ship lands at Seaham Captain Blackheart sends his one remaining crew member Polly Percy Perkins (Lauren Waine) to head off to Durham to find him. Robinson lives with his mother, Dame Connie (Paul Dunn), who runs a cleaning business and his charming yet intellectually challenged younger brother Billy Bob (Paul Hartley). 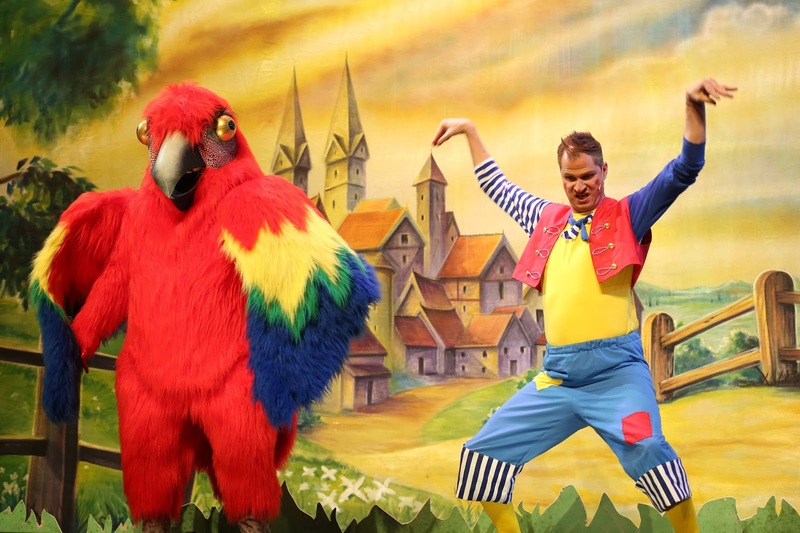 They also have a parrot called Pecky (John Murdoch) who prefers chips to Trill and hence he prefers to walk rather than fly. If the story sounds a little bit like Aladdin then you wouldn’t be far off the mark but at least it can steer clear of any awful Disney films. All of the classic panto themes and structures are there with a couple of noticeable differences. 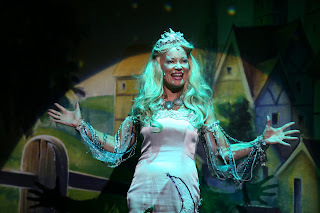 Firstly the narrative of the story actually drove every scene whereas many pantos seemed to often forget which story they’re supposed to be telling at times. Secondly, according to Joanne, Neil Armstrong was far too cute to be the baddie. 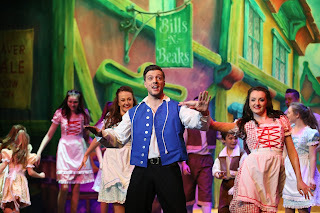 Having said that the cast work hard to get the audience involved. Paul Hartley and Paul Dunn are friends of the audience and encourage them to get involved. Lauren Waine is full of energy. Neil Armstrong, lovable as he is, pushes to get the crowd booing at his character’s evil intent. Jamie Brown can do no wrong in our eyes in diverse roles ranging from those he played in Testing Times through to Hadaway Harry via The Man And The Donkey. Jamie feels very natural as the hero of the piece. The script is full of puns for both the kids and the adults. A lot of alliteration and rhyme kept it a friendly affair too. Many of the audience were laughing no matter how bad the joke was. Our son Robert suggested that some of the jokes were bad enough to be ‘Dad jokes’. I would take that as a compliment! There are some local references but the script didn’t resort to putting down rival towns – it was too nice to do that. Supporting the action were a team of dancers, including one of 3 young groups of dancers. A nice touch was actually giving the youngsters some lines and roles to play – even if that involved bashing adults with a frying pan! The choreography from Amanda Woods was a positive accompaniment to the many songs that proliferated the show. 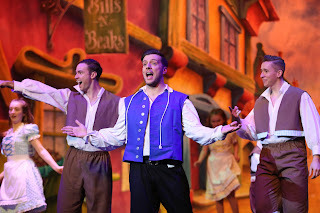 The show also features a live band under Musical Director Mark Thompson. It is always better, in our opinion, to have a live band rather than a backing tape. The band were also called upon to fill in during the scene changes. 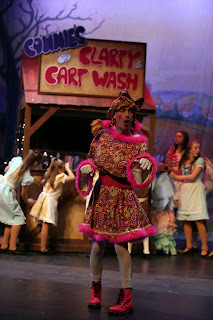 This was the second day of the run and, like a good wine, the panto is going to improve with each show. 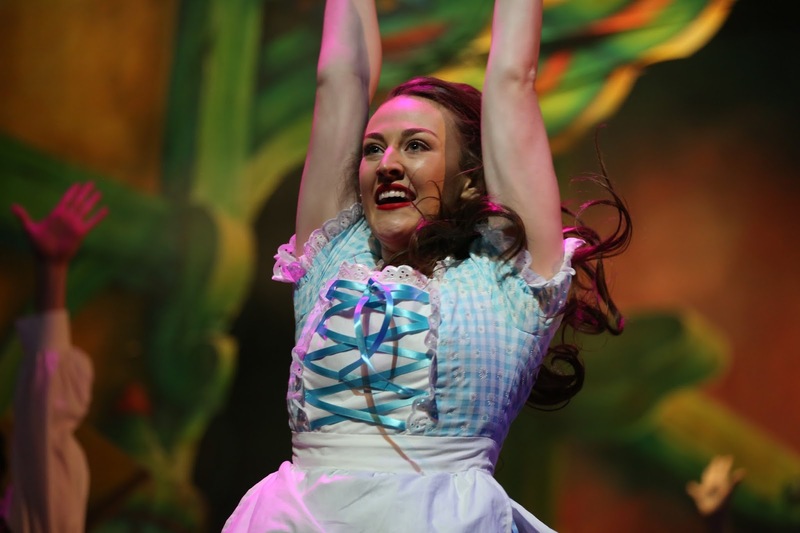 It is a friendly and fun pantomime which isn’t afraid to go a little bit leftfield and do somethings differently. The show’s creators know what works with the Durham crowd and, once again, delivered the goods. The messy scene, for example, had the younger members of the audience squealing with delight. At just over two hours the show had good pace, and it actually told a story throughout. It is our first panto of the season and it has set the bar pretty high. In a crowded market place it deserves to succeed. Tickets cost between £6 and £17 with family tickets also available. 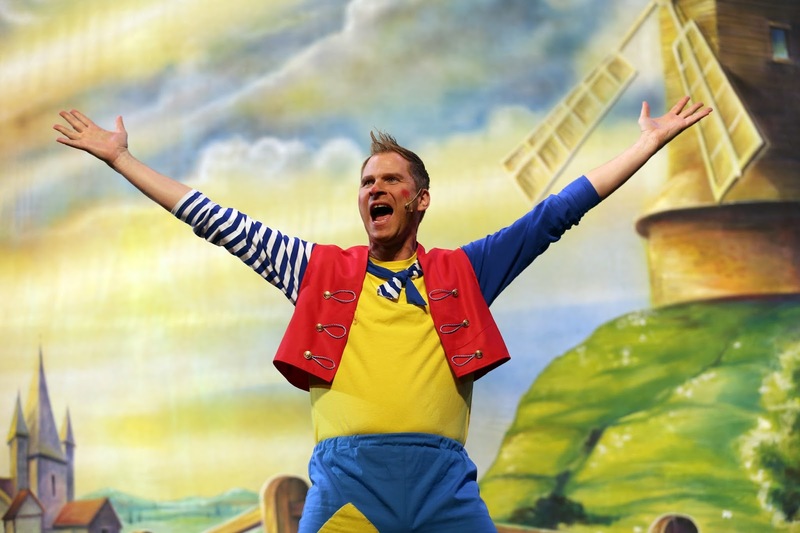 A BSL interpreted performance will take place on Sunday, 10 December, while a relaxed performance for people with autism and their families will take place on Thursday, 14 December. For tickets visit www.galadurham.co.uk or call the box office on 03000 266 600.